I show students my POP Funko character of Mister Rogers and ask if they know who he is? Ask those that are familiar with him how they know him? Share his name if no one knows. Show students the Google Doodle to provide an overview of him. 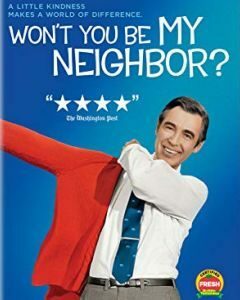 Option B: Complete the guide sheet via a DocuQuest, viewing the documentary Won’t You Be My Neighbor? After learning about Mr. Roger’s Life, Legacy & Contributions to Children and Development, students will form small groups and create a Body Bio of him. Have students trace the body of one of the people in their group. Use the information you learned about Mister Rogers to fill in his body bio as per the guide sheet. Students will share their body bios with the class and then hang them around the classroom and or school. Fred Rogers’ educational television show aired on PBS (public television) as did other children’s programming such as Sesame Street. While both were aimed at intellectual development of children, they were very different in style. Let’s take a look! Students will compare & contrast Mister Rogers Neighborhood to Sesame Street by viewing an episode of each (available on YouTube). Discuss or assign a writing assignment asking students to choose which program was developmentally best. Students would need to analyze, explain and support with evidence to defend their position. Extension: If not using the documentary for the background information, view the Mister Rogers documentary (see materials) or the upcoming major motion picture with Tom Hanks (expected October 2019).